Keep your cables organised and tangle free! Keeping your many electronic accessories organised so that you find them exactly when you need them can be pretty challenging. The Cable and Gadget Organiser gives you one place where everything from flash drives and memory cards to charging cables and adaptors, can be stored neatly and safely. 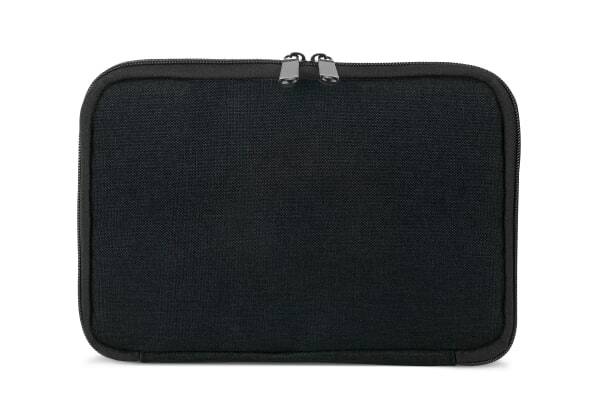 Its soft inner lining keeps your devices protected and safe from scratches while the durable cover prevents any accidental damage to your data drives. 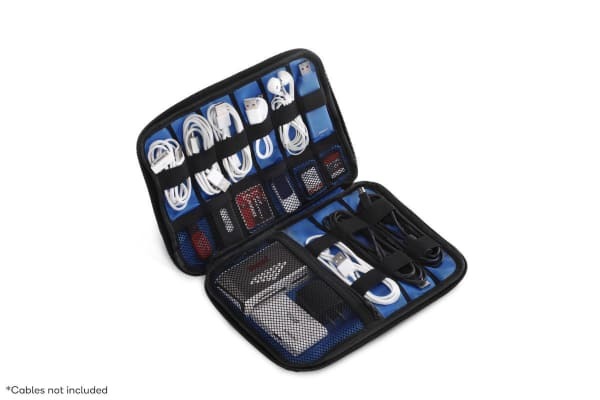 The Cable and Gadget Organiser features individual storage compartments to keep your valuables safe and your cables tangle free. 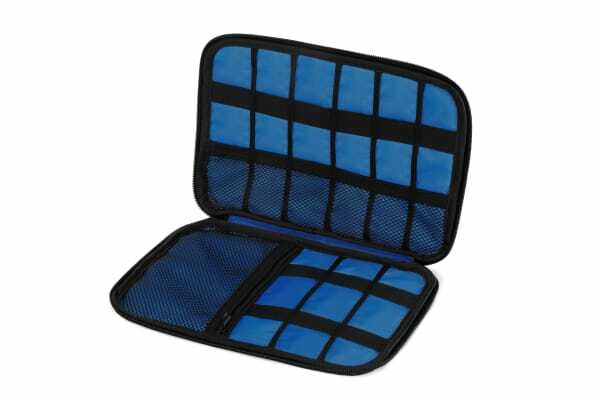 With all your electronic items organised in one compact case, you’ll never have any trouble locating a cable or flash drive when you need it. A great organiser for taking cables and spare batteries on holidays. Lots of spaces for things, but cables are sometimes too big to fit comfortably.